In this festive holiday story, Mandie finds herself in charge of the Christmas Eve skit at the church in Franklin, North Carolina. With Joe Woodard's help, Mandie decides to plan a very special event that will remind everyone of the true meaning of the season. 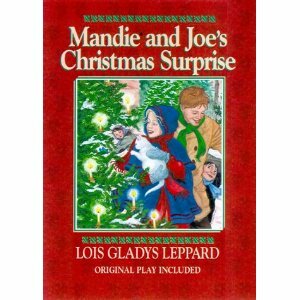 The week before Christmas, Mandie and Joe secretly round up the orphan children in town and hide them in the church basement. As the stars of her Christmas skit, the little orphans need a place to stay, but will Mandie's Christmas performance compel the people of Franklin to provide a permanent home for the children? 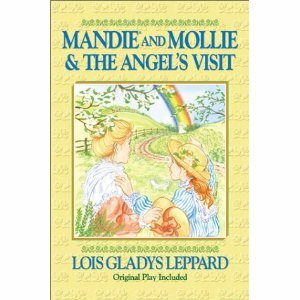 A Charming Christmas Story With a Script at the End for Mandie Fans to Perform! A Special Easter-Mystery Story With a Drama at the End for Mandie Fans to Perform! When Mollie, the young Irish girl who was saved from a fire in Belfast, comes along with Celia Hamilton to spend Easter at Mandie’s house, little has changed about the girl. She’s still looking for leprechauns and a pot of gold, so it’s not surprising when she says that an angel came to visit her. But when Mollie disappears from her bed in the middle of the night and is nowhere to be found, Mandie and Celia set out to find her. What they discover is shocking! 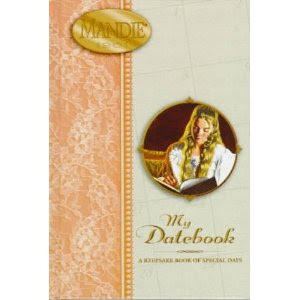 A keepsake book that highlights the dates that Mandie holds dear as well as features the days of the year for remembering special birthdays, anniversaries, and other favorite occasions. A special hardbound diary for Mandie fans to journal their thoughts a favorite pastime with young girls in this age group. Features a brass lock and key. Includes A Special Sewing Pattern for an Apron and Bonnet! After days and days of begging, Amanda Elizabeth Shaw (better known as Mandie) finally convinced Aunt Lou to teach her how to cook. You know who Aunt Lou is Mandie's Uncle John's housekeeper. Mandie not only loved learning how to cook, but she recorded every recipe, every "do" and "don't" that they went through. And that is how this cookbook came to be shared with you. Mandie also learned how to cook Cherokee-style from Morning Star, Uncle Ned's wife. Sallie, her granddaughter, helped translate since Morning Star doesn't speak English. Being part Cherokee, Mandie wanted to learn how her kinpeople cook. With Mandie's step-by-step instructions, you can cook and serve meals and share the experiences of girls from the turn-of-the-century. Learn how to bake cakes and pies, do popcorn balls, make biscuits and Southern fried chicken, as well as make Indian recipes like dried apples and potato skins. 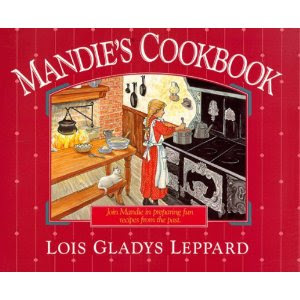 If you love the Mandie Books, you'll love to try cooking Mandie's favorite recipes!